Journeys to Joy: Joy-Fully Bringing You Gail Gaymer Martin - "A DAD OF HIS OWN"
Joy-Fully Bringing You Gail Gaymer Martin - "A DAD OF HIS OWN"
Multi-award-winning author, Gail Gaymer Martin writes Christian fiction for Love Inspired and Barbour Publishing, wehre she was honored by Heartsong readers as their Favorite Author of 2008. Gail has forty-eight contracted novels with over three million books in print. She is also the author of Writer's Digest's Writing the Christian Romance. 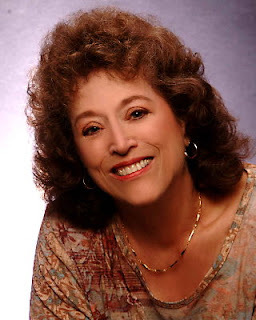 Gail is a co-founder of American Christian Fiction Writer's, a keynote speaker at churches, libraries, and civic organizations, and presents workshops at conferences across the US. Gail has a Masters degree from Wayne State University in Detroit, Michigan and is a licensed counselor. Gail lives in Michigan with her husband, Bob, a very talented composer for a bell choir of which Gail is also a member. It has been my JOYOUS privilege to know Gail Gaymer Martin for a period of nearly three years. I first became acquainted with her through reading one of her books in the late fall of 2007. For the very first time in my life I contacted an author. I wrote via email to Gail, praising her for one of her latest books, explaining to her how touched and encouraged I was by that particular story. To my surprise I received a rapid and personal response to my message beginning an online friendship with this personable, authentic, Christian woman and author. We held several email conversations over the next few months, and I began to look up and read her previous book titles. Little did I know at the time, how instrumental Gail was to be in my own writing experiences. As a member of ACW (American Christian Writers) I had signed up for a Spring 2008 Writer's Conference to be held in May in Grand Rapids, MI. Later when the brochure came out I was ecstatic to learn that Gail was to be the Keynote Speaker and one of the conference instuctors. What a wonderful weekend that turned out to be. We spent some time together the night before the conference began, and since she was teaching my genre I got to sit under her tutilege for several hours. To my delight she held a night-owl session and tirelessly answered questions from several of us aspiring to publication. Before the weekend was over Gail selflessly took time to go over the first few chapters of my own novel. She gave me some great pointers and advice. It was through Gail in April of 2010 I became a member of ACFW (American Christian Fiction Writers) and have benefited more than I'd ever dreamed possible. I became a member of ACFW Great Lakes Chapter (Michigan) this month and found out Gail Gaymer Martin is to be a keynote speaker and instructor for our first meeting in April. I call these God-Incidences - times and people He connects me to and am so glad I will get another opportunity to fellowship with and be taught by this particular seasoned Christian Fiction author/teacher. Before Gail headed out to Sedona, I made sure I got the promised interview and have since received and read her newest and, I believe her best thus far, novel published by Steeple Hill in their Love Inspired line; 'A DAD OF HIS OWN'. I have been so blessed to have been chosen twice now by Gail to read her books in pre-published form and to be allowed to promote it to my family, friends and readers so that they'll be sure to get their copy right away upon its release. 'A DAD OF HIS OWN' is to be released around February 25th or so but before I ask Gail to share more about this particular book I'd like her to tell you about the author behind this tremendous novel. So, Gail, let's begin at the beginning. When did you know you wanted to be a writer, and how did your career develop? My teacher wrote on my third grade report card, "Gail is a good writer," I had no idea what that meant, but I continued to write poetry and stories - even my own Nancy Drew-type-series - when I was about eleven years old. I continued to write for two local newspapers when I was a teen, one was a weekly column for which I received paymet. Writing was actually a childhood dream, but I never thought of writing professionally until I decided to retire in my early fifties I started my career writing parenting and teen issue articles for national Christian magazines and Sunday school materials that included short stories and articles, but in 1997 my "I want to be a novelist when I grow up" dream returned. I sold my first and second novels to Barbour Publishing in 1998 and 1999. In 1999 I also sold my first Steeple Hill novel. Today I have 3 million books in print and 48 published or contracted novels. How do you balance your writing and personal life? Balancing my life isn't easy. I try to use wisdom when accepting book deadlines, but because besides deadlines, I know I'll face multiple edits, galleys, cover art forms, and sometimes the dreaded revision. I also write for more than one publisher so that adds stress to my schedule. I do have time for other things, though. I'm a keynote speaker at church events both in Michigan and out of state, and I am on the staff of numerous confrences across the U.S. I am deeply involved with music which is very gratifying for me. I'm a soloist and member of my church choir and rpaiswe team. I play handbells and handchimes so all of those activities require rehearsals. I sing with a well-known Christian group in the Detroit area and that's another rehearsal. On the evening of my rehearsals I can't write so what I do then is work morning into evening when I can and also on the weekends. I avoid as many social activities as I can when I'm under a tight schedule. I am well-organized, and I work fast, and that's part of my secret. If I'm writing a story that's lived in my thoughts for awhile, I've already done research and see the story as a movie in my head. That helps. What are the pros and cons of being a writer? I love writing and creating, and I enjoy meeting readers and receiving their letters. Sharing my faith in stories that entertain is a blessing for me, and touching people's lives with the message in the story is an honor. I am awed that the Lord has blessed me in this way. What I don't like are the pressures of deadlines when they overlap. Then my life becomes so very stressed, especially when I find myself working on two or three books at one time.Then it's not fun. Do you write only Christian romance novels? All of my books contain romance, but along with that genre, I write romantic suspense and women's fiction. I was never a reader of romance, but I happened to meet many writers who wrote in that genre, and it just happened. Since I sold my first novel in one year, I believe that's what the Lord meant me to do. I have always read suspense and romantic suspense - older authors such as, Mary Stewart and Phyllis Whitney, and I love suspense. Are any of your characters developed from people you know? The characters are mainly from my imagination I have taken attributes from people I know, including myself, and given them to characters. Could you share any advice with other writers? Toughen your skin and be ready for hard knocks. Don't get discouraged with rejection. It's part of the business and never ends, even with a seasoned writer as I am. Learn the craft and never stop learning. If you write Christian fiction, knowwho you are writing for, and don't rush the process. Too many people want a book publihsed now, so they rush their work, use vanity presses in the form of self-published or POD, and they forget that God said, "All things are made beautiful in its time." We are published in God's time, not our own. God knows when our writing is ready, and when each story is needed to touch readers in a special way. Put your work in His hands. Our talents are a gift from God, and our writing is a gift from God. Please tell us about the book. How did this particular series come about? When I was proposing some new ideas, the senior editor of the LI line asked if I'd ever considered writing a series based on something like the MAKE A WISH FOUNDATION. She likes my emotional stories and thought that was something I could do. I cringed trying to image writing a happy-ever-after ending with stories about children s truggling with debilitation diseases. But the more I thought about it, the more I liked the idea. My foundation is called DREAMS COME TRUE, and thats the name of the three-book-series. Where does this book come into the series and what is it about? 'A DAD OF HIS OWN' is the first book in the series and involves a representative from the foundation, Ethan Fox, who does a presentaton at a support group for mothers and meets Lexie Calson, a woman who has no interest in his offer. Her son is too ill, and she sees it as asking from more disappointment. But, Ethan is attracted to the woman, and having lost his wife to cncer before they had children, he is drawn to Lexie and her 7-yr-old son, Cooper. The story is touching, emotional, and joyful too. I hope readers find they too fall in love wih Cooper, and find joy in seeing how Lexie and Ethan work through their fears. Thank you so much Gail for sharing both from your expertise as an author and the teaser from your release that should hit stores near February 25th or so. I am so grateful for this Christian woman, author and instructor and for the impact she's had on my life with both her novels and her kind-hearted instruction. May God bless you, Gail as you continue to write those stories He gives you. Be sure to pick up your own copy of 'A DAD OF HIS OWN' where all Steeple Hill - Love Inspired books are sold. Sounds very good. Enjoying reading Gail's work. She was an incredible blessing to me at the ACFW conference in Denver. Got my writing on the right track, encouraging and thoughtful. Anyone who has the opportunity to hear her speak should take it.